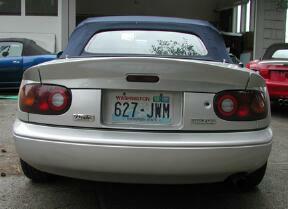 SDD M1 3 piece trunk lid spoiler designed by Dale Wampler for the first generation Miata. What you get is the spoiler. 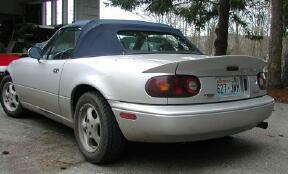 The two spoiler extensions, all required hardware, templates and full installation instructions. The spoilers are made by highly skilled laminators using hand lay up (Race Car Style) which makes for consistently light weight and very strong parts. Lighter than the factory spoiler. 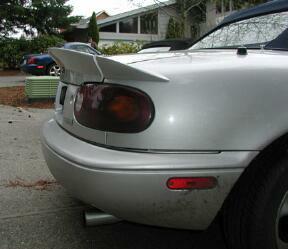 Your new spoiler will give you no issues on the normal factory torsion bars. 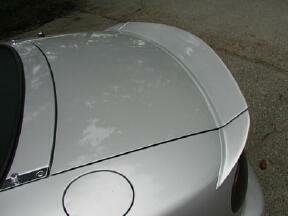 They come finished in primer gel coat and are an easy block sand for the technician at the body shop. Price: $450.00 + $40.00 Shipping.